The Karaf team is pleased to announce the availability of Apache Karaf 2.1.2. This release of Apache Karaf is based off of the 2.1.x series branch, representing an update to Apache Karaf 2.1.1. It contains several bug fixes identified in the prior release, and updates the pax-url version. The Karaf team is pleased to announce the availability of Apache Karaf 2.1.1. This release of Apache Karaf is based off of the 2.1.x series branch, representing an update to Apache Karaf 2.1.0. It contains multiple bug fixes, while introducing a minimal number of changes to dependencies from our last release. Newfoundland based Binary Dawn hits Apple App Store with WordUs2! The aim of the game is to guess the word in a varying number of attempts. Help comes in the form of colored symbols which indicate when letters are correctly placed or if the letters exist in the word. Several game modes have been integrated into WordUs2, including; Calm & Collected, Every Guess Counts, Think Fast, and Six Minute Sprint. They have also added OpenFeint, allowing you to earn achievements, with associated points as well as participate in the leader boards which track your score vs. other OpenFeint members broken down by game mode. WordUs2 is a fun, quick game to pick up and play at any time. If your looking for a smart gift to add to your mobile entertainment selection this holiday season you should definitely take a look at this tittle. Binary Dawn Interactive is a privately held indie game development company focused on the mobile entertainment market. The company has its roots in technology developments which date back to 2001, with the company officially incorporated in July of 2009. In September of 2009 the company released its initial offering for the mobile market: Through to Iota. The release of WordUs2 represents Binary Dawn's newest game for the iPhone and iPod Touch platform. This month sees the number of events/seminars decrease as we head into the holiday season. If any more events become announced then I'll update this post. Thursday, November 18, 2010, 8:00am, Fluvarium. Recruitment 2.0: Engaging the 'Gen Y' Workforce. Thursday, November 4, 2010, 1:00pm, Room EN-2022. Conceptual Query Expansion and Visual Search Results Exploration for Web Image Retrieval. Monday, November 22, 2010, 2:00pm, Room EN-1052. "The Internet Made Me Do It"
Last week I attended the High Technology Criminal Investigation Association Atlantic Canada Chapter conference for 2010 here in St John's. The conference was widely attended by representatives from the local telco, government agencies, the RNC, RCMP, and private industry. The keynote addresses this year were particularly interesting. Richard McDonald, from IBM, talked about Cloud Computing ("Safe and Secure?"). Earle Crane, from the Department of Homeland Security, discussed security and advanced persistent threats. Jim Robbins, President of EWA Canada, discussed trusting the code in the software and devices we purchase. And finally, John Weight, Microsoft, discussed building confidence in the Cloud. The conference provided several streams of talks, including discussions of Privacy, Cloud Computing, Threat & Risk Management, and Law Enforcement/Forensics. I attempted to sit in on as many different streams as I could but such is the nature of these kinds of gatherings - you can only absorb a small fraction of the talks. If you missed the conference, and are in the St John's area, you may be interested in a security related seminar next month at Memorial University. Sgt. Jacques Boucher will be presenting "The Internet Made Me Do It" at the Department of Computer Science, Memorial University (Room EN-1052 @ 2pm) on November 22, 2010. Please see the linked page for the talk's abstract. To help illuminate where Apache Karaf is heading over the next few months I thought I'd write up a brief post on our current roadmap. We are planning to have at least two more releases before then end of 2010. A maintenance release which will only include bug fixes to the 2.1.0 release. No new features should be included. This release will include all the new features, fixes, and other improvements introduced to trunk since the 2.1.0 release. If you have particular issues discovered in 2.1.0 that you'd like to see addressed in 2.1.1 please feel free to vote up issues in our project issue tracker. The key to maintaining a healthy build environment, really any systems infrastructure, is in keeping your systems admin contented. The best way is to keep their stomach happy, and to provide them with plenty of bandwidth ;) So I present this week's dinner - Rosemary/Thyme Lamb chops, lemon potatoes, and BBQ Na'an bread with Tzatziki yogurt. The dessert was a simple too tall strawberry short cake with vanilla frosting. The clean up work at home is still going... seems to never end. Working now on figuring out how and what will need to be remediated. Fun times. Any who, will keep posting pics from the road until I get back to some normalcy. Newfoundland based Game Company releases new title "ProtoGalaxy"
A mysterious and powerful alien race has come to enslave the entire galaxy, and your fleet is humanity's last hope. You must put an end to the attacks and rebuild a home for the survivors. With the invaders in hot pursuit, and the dangers of the unexplored at every turn, do you have what it takes to forge a new galaxy?" For more details on the game and system requirement please visit Source Studio's ProtoGalaxy homepage. Building a custom Apache Karaf distribution is a topic that hasn't really been explained in full anywhere, but has been asked by quiet a few people. Since I'm playing around with a small personal side project that reuses Apache Karaf as the platform for a Rogue like text game I thought that I'd make a few posts about the process. I'm not going to be able to explain all the various details involved here, and this certainly isn't a best practices guide, however you may use some of the posts following this project to help start your own efforts. To start, obtain the Apache Karaf source tree from svn. Please see the Apache Karaf source documentation page for details on how to go about this. For building your own distribution I would recommend checking out a tagged version of Apache Karaf, as latest from trunk can not be guaranteed to be stable at any one point in time. Once you have obtained a copy of the source tree we can start the customization process. Please note we won't be modifying the Karaf source directly, we just obtain a copy for future reference. The actual distribution modifications will take place in a new project pom, more on that later. Something I've encountered only in my working career has been System P machines running AIX. Their not the easiest platform to develop, especially if you don't have local resources to learn upon. I earned my experience the hard way by attempting to resolve issues on production systems with just google searches, luck, and determination on my side. So with this in mind I'd like to share some links to resources that System P learners may find helpful. Continuing the pick up of events from last month, October will see a nice variety of tech related meetings. Wednesday, October 06, 2010, 2:00 PM @ Bella Vista St. John's, NL. Friday October 8th, 2010, 12:00AM (Application Deadline). 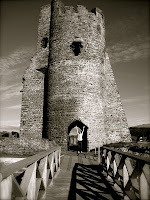 IEEEXtreme 4.0 is going to be held 23 October 2010, starting at 00:00 GMT and ending 23:59 GMT. This is a world wide event for IEEE Students, so see details here. To my understanding there will be several groups attempting the challenge from Memorial University. The grade AAA steaks were coated in a mixture of peppers, Panko & Dijon Mustard. Grilled on high heat for 11 minutes to preserve the juices. Caramel Pecan Chocolate dip cookies with coffee. I'm not sure how much longer my nomadic work will continue, hopefully the main clean up tasks will be completed before it starts to snow. In the mean while I guess I'll have to keep on moving along. I just got back from providing my first guest lecture to an under graduate class of Computer Science 3716 Software Methodologies at Memorial University. It was a fun experience, which I am supposed to re-iterate next semester (Winter 2011). My talk touched on various subjects including a quick Apache Way introduction, a brief description of the projects I've worked on, my views on technology, and project management. We attempted to keep the talk focused towards entry level development in St John's, but did expand things to include working on the international level in large scale projects. Particular empathises was given to working on open source projects such as Apache Servicemix, Felix, and Karaf. Now that Apache Karaf 2.1.0 is generally available I'd like to round up some post release links for every ones reading pleasure. The Fall 2010 CS Team Programming Competition took place at Memorial University this evening. Five teams entered, vying to win prizes and obtain the honor of representing the Mun CS Department at the regional APICS games. I've copied in a few pics taken during the competition... all in all everyone had a lot of laughs, good willed fun, and geeked out. I'd like to congratulate the first place team, Josh McCarthy, Hazel Dalton, and David Hornell, on a job well done. They will move on to the next round of games at Saint Mary's University. As a side note, all three team members are student employees at ICAN - they have a great talent pool here! A solid performance was displayed by the second place team consisting of Chris Whalen, Robert Robere, and Stephen Piercey. And finally in third place, the team of Nathael Woodfine, Sarah McCausland, and Megan O'Connor. I'd like to wish best luck to the Mun CS team as they move up the APICS competitions into the ACM games. I'd also like to thank all the students, volunteers, and the games committee again for making these CS games possible. The Karaf team is pleased to announce the availability of Karaf 2.1.0. Apache Karaf is a small OSGi based runtime which provides a lightweight container onto which various components and applications can be deployed. New to this release is a JAAS Database Login Module (see KARAF-180), and a mechanism that allows a karaf application to distinguish between UserPrincipal and RolePrincipal without depending from the Karaf JAAS Module (see KARAF-172). The shell console has been enhanced to be available in a plain non-OSGi environment and smart tab completion has been improved, along with various new & improved commands. We have also resolved a number of outstanding issues, and improved support on OS X and IBM Java based systems. For more information, please see the release notes. I'd also like to thank everyone again for their support and encouragement over the last week. If we had named releases I'd call this one "Apache Karaf Irksome Igor". My power and internet connections have already become unsteady such that I worry if I try to cut a release candidate then I could have the connections drop (or encounter a long power outage) during the release process. In the interest of producing a clean RC I'm going to delay cutting RC#2 until later tomorrow. I've contacted the Karaf dev list to inform them of the local conditions, and may have another committer pick up the release manager baton for this RC if conditions here persist for too long. Back to battening down the hatches for me, cheers. Well it didn't take too long after publishing a Release Candidate for Apache Karaf 2.1.0 that a community member discovered a flaw that we had believed to be resolved. A quick patch submission followed, so we are canceling the current RC and re-setting for another run as per our release guide. So what does this entail? Delete the current Apache Karaf 2.1.0 tag from svn. Drop the RC from Nexus staging area. Rollback the pom versions from 2.1.1-SNAPSHOT to their last version. Reviewing and applying supplied patch for the reported issue. Returning to the start of the release process. This is the heart of the Apache release process, ensuring that only vetted releases are published to end users. I decided to post about this occurrence since many people have asked me before about how we handle situation like these. It's a lot of work but quality is among our top priorities. Some users may have noticed a link to the upcoming 2.1.0 release appear on the project homepage - no downloads are currently available. The Apache Karaf downloads page will be updated once a release candidate has been fully vetted by the community and voted to release status. So please stay tuned, if all goes well then I should be announcing the official release soon! The Fall 2010 CS Singles Programming Competition took place at Memorial University this evening. Seventeen students registered for their opportunity to try their algorithmic skills on three problems developed by the Mun Programming Competition committee. Several CS alumni donated their evening to help referee and support the games. They were kept very busy as runners as the competitors kept very focused on solving the problem sets instead of digging into the piles of pizza and cookies the games committee graciously provided. The night's big winners were Robert Robere (left), Tim Oram (right), and Stephen Piercey (center). They each took home a programming related text book, Ubuntu mug & install disc, and a Memorial University pen. I'll be posting a link to the problems and solution sets to tonight's games once made available by the department. I'd like to thank all the students, volunteers, and the games committee again for making these CS games possible. This week we started the process of moving Apache Karaf trunk towards a 2.1.0 release. As part of this release I'll be acting as the release manager. This has meant that I've been spending time reviewing our issue tracker and delegating tasks to contributors/committers. Once we have a stable source tree I'll proceed to follow our release guide to deliver the new build. Test build with every Java version you have at your hands - you'll catch the small gotchas that creep in with Java 5/6 incompatibilities or between vendors (Sun/Oracle, IBM, and Apple JVMs). Double check, then check again for any lingering SNAPSHOT versions in your dependencies - finding a SNAPSHOT late in the game means having to put your release on hold while another project goes through it's release process. Branch your current trunk - this lets further development carry on in the case that your experiencing delays cutting your current release. If you can, build up a reliable build infrastructure - My previous release was performed upon a Ubuntu Linux 10.04 LTS VM hosted on Virtualbox on my macbook. This setup was actually quite reliable, however an unplanned swimming trip my macbook took could have wiped out this release environment. 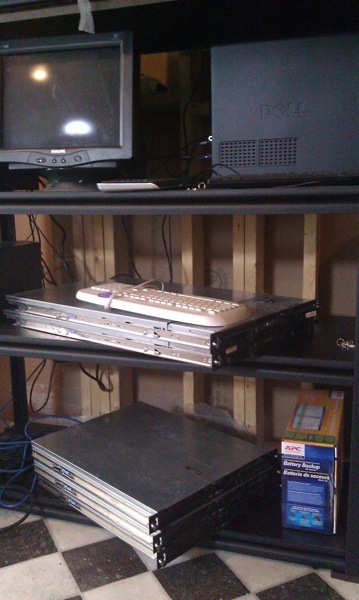 My new release environment is now comprised of a pair of Dell 1850 1Us in failover configuration, on a line conditioned UPS, sitting behind a BSD based firewall (back ups is currently external hard drives, will add to this setup over time). I hope to have the next release of Apache Karaf out soon, so stay tuned for an announcement. I was recently pricing some AIX gear for supporting my work on Apache Karaf and quickly became depressed on the totals -- no surprise of course, UNIX is never cheap (to be completely fare HP-UX and Sun/Oracle non-x86 systems are also pricey). Looking around the net for alternatives turned up very few leads. I guess one is left with having to look for used systems from a reputable reseller or on ebay. Since my projects are mostly Java based I have spent some time crafting a Ubuntu Linux VM loaded with IBM Java, and tweaking the shell & environment to be more AIX like. This has served my needs well for the most part, unfortunately there is no substitute for a real working AIX system. This process has left me wondering how have other open source developers approached supporting this platform? Please leave your insights and experiences in the comments below. Where does Newfoundland fit in with the Canadian Video Game Industry? I just wanted to re-post a few stories being carried on the CBC. I'm not in the Newfoundland video game industry but I'd like to know how we relate to the issues touched upon in these articles. Respawned: How video games revitalize cities. Video game subsidy battle heats up. In my last post on the local game industry I had asked in my reader responses "I wonder what the barrier to entry was that prevented the industry from flourishing like this before? Has the costs of development dropped enough? Did some government program silently encourage its growth". I haven't heard much in answer to these questions but I'd like to read any opinions/answers in the comment section below. A few more questions I'd like to add; Do you see Newfoundland as being competitive given the benefits available elsewhere in Canada? Being a smaller province do development studios put down 'roots' into our communities faster here? What spin-offs have we already seen from our own games industry? I celebrated this year by spending some time working on an AIX issue which I had reproduced with IBM Java on a Ubuntu Linux VM, running on my Macbook - then spending some time planning the up coming Apache Karaf 2.1.0 release, finally turning towards some background tasks for the programming competition I'm volunteering at and helping to sponsor at Memorial University later this week. To help celebrate this day with my fellow programmers I'd like to share some pics from my other blog that I think you may all enjoy. I originally wrote this article shortly after performing Apache Karaf's first release as top level Apache project. Since then I have participated in numerous releases, and have come to view release management as both an art and a science - the roles a Release Manager (RM) takes on with a project are many and varied. I hope the below article helps introduce some of the issues a RM tackles, and provides some insights in to how Apache projects reach release status. 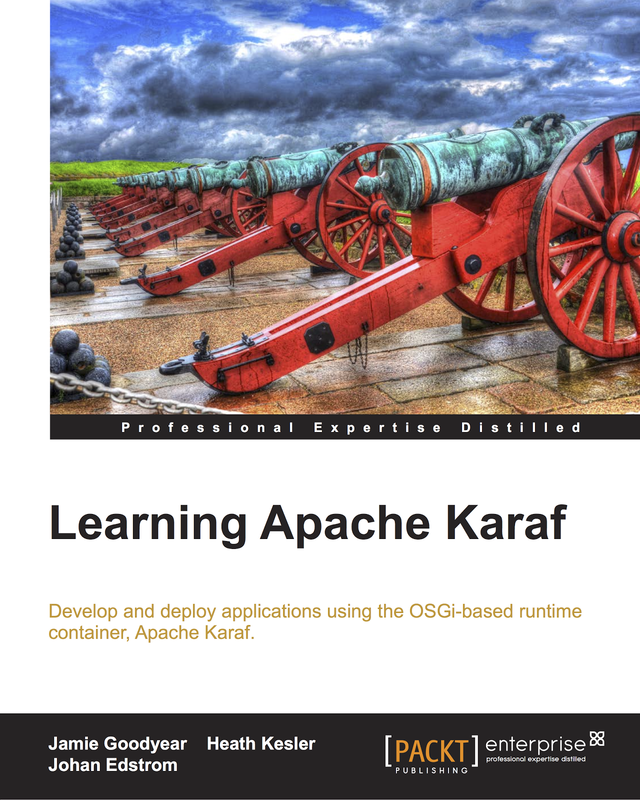 I recently had the privilege to perform the release management duties for Apache Karaf's first release as a top level project. The process went relatively smooth considering we were creating our release guide as we worked. So for this blog entry I'd like to talk a little about the experience in the hopes that other release managers may gain some more insight into the goings on in Apache projects. 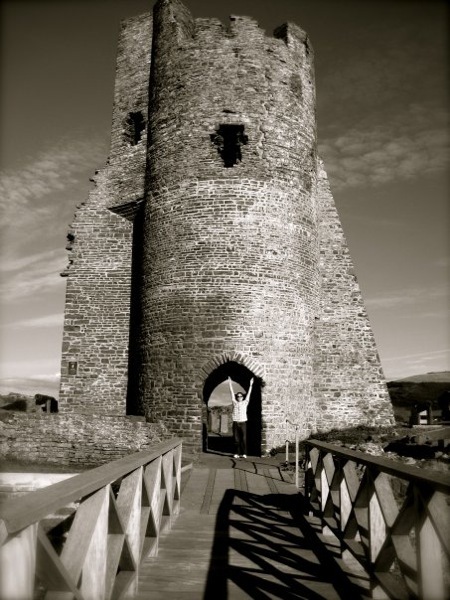 The duties of a release manager (RM) are diverse, it includes serving as a facilitator, gatekeeper, architect, support engineer, and overall as a coordinator. In these roles the RM will deal with software defects, issues, risks, change requests, feature requests, deployment and packaging, and community involvement. Sometimes these duties are liken to the practice of herding cats, however it's so far been my experience that most parties involved in Apache projects just want things to go smoothly towards each release. The facilitator acts as a go-between different parties. As a facilitator the RM's goal is to provide the drive towards a timely release. The RM works here as a liaison between different contributors, committers, Project Management Committee (PMC), and other projects to guarantee the smooth delivery of a release. Normally this process starts by the RM sending out a proposal to the project developers requesting that a release be cut at some up coming date. When a release candidate is prepared the RM will then hold a vote for project members to ratify the release. The gatekeeper role is the practice of having someone held responsible for the resources required for production of the release. In Apache projects this responsibility is somewhat modified in that the RM typically has committer status on the project (quite often part of the PMC), has a signed PGP key for the project, and access granted to production support systems. The actual systems used to produce a release candidate are often the personal property of the RM, so proper documentation of how to build the release environment must be maintained in order to not create a magic build machine. Pictured to the right is the Apache Karaf build and release infrastructure. When not in use I keep the machines physically disconnected from the internet, no development or testing use is permitted on these machines (I have other resources available for those purposes). There is an excellent article on the measures some RMs go to in regards to protecting their PGP keys here. I rely on a secure physical location in a remote part of Newfoundland, up to date security patches, and disconnection from the internet when not in use, as my peace of mind from having the release system I use becoming exploited. The architect aspect of the RM role is in building processes or tools to manage the project release. 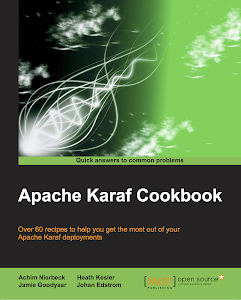 In Apache Karaf some of these tasks can be seen in the release guide. 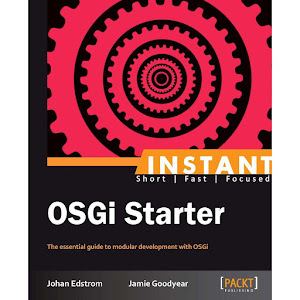 Having this release guide published helps not only the RM during the release process, it promotes the open process by which the project operates. Decisions and practices are clear throughout the release process, and are open to discussion. An example of the type of tools used by RMs include code signature verification scripts (test all pgp signatures, MD5s, etc) and the Apache release audit tool. In relation to these tools are the continuous integration system Jenkins, and automated analysis tool Sonar, which RMs use in the lead up to a release candidate. Reviewing these tools status reports the RM can gain confidence in the quality of the build they are promoting towards release statue. The support engineer role of the RM is to resolve issues encountered with the build and release infrastructure. In setting up for the first Apache Karaf release a lot of my time was spent on creating accounts or correcting generated permissions. The next release should go smoother since a lot of little details have been taken care of now. Some of the infrastructure that the RM has to work with includes (but not limited too) the source control management system, issue tracker, project wiki, project website, Continuous Integration builds, Sonar reports, and Nexus repositories. Finally the coordinator role is to balance the needs of the contributing developers with that of the communities requests. In the Apache world this means attempting to align contributors efforts with that of user and other projects needs towards making the release date. This may mean communicating with developers to attain status' on particular issues in the project tracking system, or assigning issues to available resources to get required work resolved. The co-ordinator role can feel like balancing on the edge of a 200 ft cliff. In conclusion the Release Manager is an indispensable role in the process of producing Apache software. They handle the many competing demands of parties involved in their project and help keep each release on time. I've written here before about working from home, and the isolation effects of working on open source projects from here in Newfoundland. The only sensible way I've found to work around this is to try and group together my local Apache users and try to get some hackathon time in. The general setup is the same each time, meet up somewhere, eat good food, drink good drinks, and code! Since there is a very small community of people working on or with Apache projects here locally I've taken to calling our meetings Micro-Hackathons. Here's a pic from today's Micro-Hackathon (featuring committers from Activemq. Camel, Servicemix. Felix, and Karaf). If your developing with Apache in similar circumstances as we have here in Newfoundland I'd greatly suggest trying to host your own little Apache gatherings. There fun, productive and an all around great way to geek out. I'm re-posting a message sent out from the Mun Computer Science Department to their undergraduate students. It contains details surrounding the two programming competitions I recently posted about. Calling all Memorial University Computer Science Students! Two, count them, two upcoming Programming Competitions! maximum of 16 participants, so don't delay! Would you like to participate in the APICS Annual Programming Team Competition? 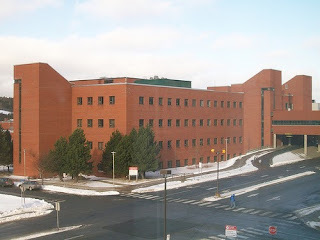 Each October, this competition is held in conjunction with the Annual APICS (Atlantic Provinces Council on the Sciences) Conference and is sponsored each year by a University in Atlantic Canada. This year, the Conference will be hosted by St. Mary's University. The top three teams from the Preliminary Round at St. Mary's University are then invited to the Northeast North America Regional Competition of the 2009-2010 ACM International Collegiate Programming Contest sponsored by IBM. Time: 5:00 to 7:30 p.m. If you are interested in participating, please contact Regina Edwards in the Computer Science General Office or by email redwards@cs.mun.ca by Wednesday, September 22, 2010, with the names of your team members. Where have all the St John's Local Users Groups gone? So I'd like to know what happened to these groups. Did the need for local support networks decline as software documentation improved? Has the ecosystem of platform user groups expanded to the point where there is not enough community to effectively have meetings (Apache, Linux, Java, .Net, BSD, Oracle, IBM, Mac, et al)? Have online communities replaced the need for local user groups? Personally I found these groups very useful when I was just beginning my studies in Computer Science. I learned new technologies and networked my way into my first professional job. Not having these groups now I wonder how and where the local IT industry manages to trade stories and network like we did not too long ago. A reader sent along the following link to NL IT Pro as one of the very few active IT oriented groups in town. Thanks for the link!